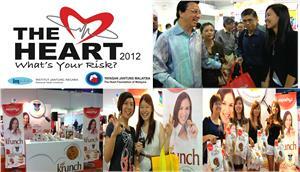 NomNom Your NomNom at NTV7 Yuan Carnival! 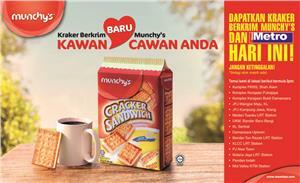 Introducing the New Munchy’s Cracker Sandwich! 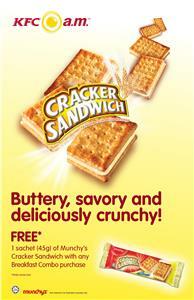 Another innovation from Munchy’s – Giving you the best of both worlds, a cracker with cream filling and sugar toppings! 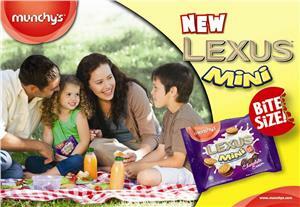 Comes in convenient pack that you can eat it anytime anywhere! New Snack in Town – NomNom! 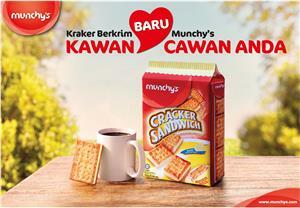 Munchy’s continue to excite and share the fun with a new range of snacks to satisfy all your cravings! NomNom your NomNom now!